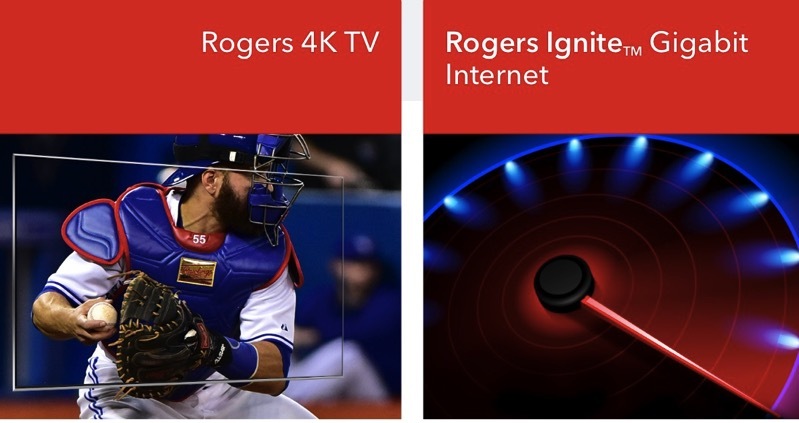 In early October, Rogers announced Gigabit Internet, along with its plans to launch 4K TV with Netflix support. Today the company has revealing pricing information in an emailed statement for both Gigabit Internet and 4K TV hardware. The new NextBox 4K set top box is available now to customers with a cable subscription, for a rental cost of $12.95 per month. Rogers says all 4K broadcasts will air on channel 999, with the first broadcast set for January 23, 2016, when the Toronto Maple Leafs take on the Montreal Canadiens. In 2016, all Toronto Blue Jays home games will be broadcast in 4K, which is four times the resolution of HD. As for those interested in 1Gb Ignite Internet, that has launched today in downtown Toronto and the GTA, at the price of $149.99 per month, bringing speeds of up to 1 Gigabit per second (1000 Mbps) with unlimited usage. The monthly price includes the rental cost of the new Rocket Gigabit Wi-Fi modem. Rogers previously stated it has ambitions to roll out Gigabit Internet to its entire cable footprint in Ontario and Atlantic Canada (over 4 million homes), by the end of 2016.